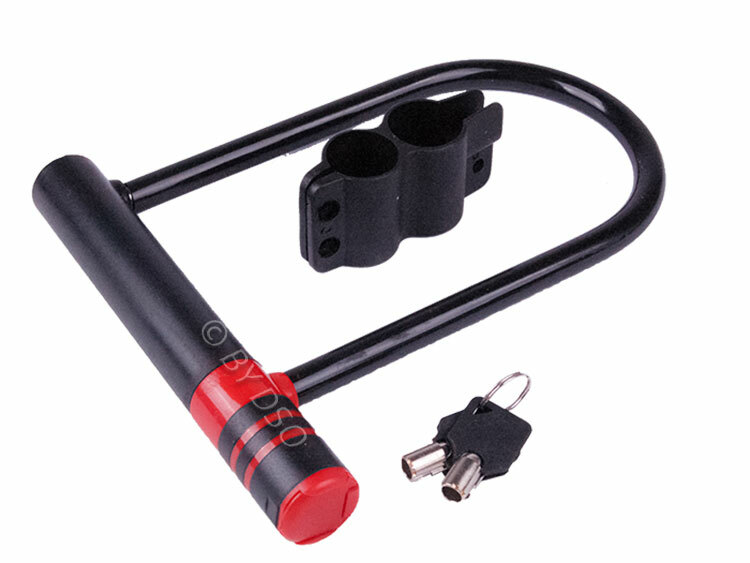 Secure your motorbike or bicycle and create peace of mind with this Heavy Duty U-shape lock. Comes complete with all attachments necessary for attaching to the frame of your bike and 2 x security keys provided. The outer coating is made from vinyl to protect paintwork and keep the metal weather-proof. Cap to protect the key slot in wet weather. Size: 180mm by 245mm approx.